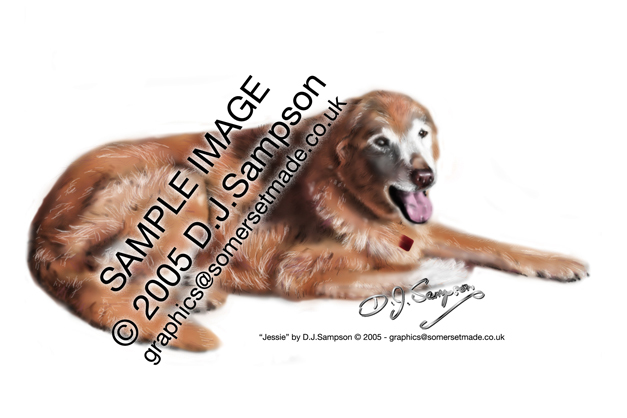 This is a portrait of Jessie and was commissioned by a friend of the owner as a Christmas present. One of my first overseas commissions, the finished portrait was sent to America. Producing this was quite poignant as sadly, I'd been informed Jessie had to be put down earlier in the year, which made this a really special gift.